The year’s most controversial science-fiction novel is now available in a format suitable for those times when your hands are too busy to hold a book. 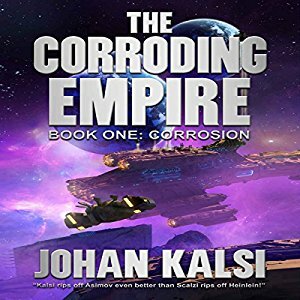 The Corroding Empire, The Audio Book is perfect for keeping you company during long drives, yard work, and late night miniature wargame figure painting. Voiced by none other than your humble host, it’s over seven hours of fun!